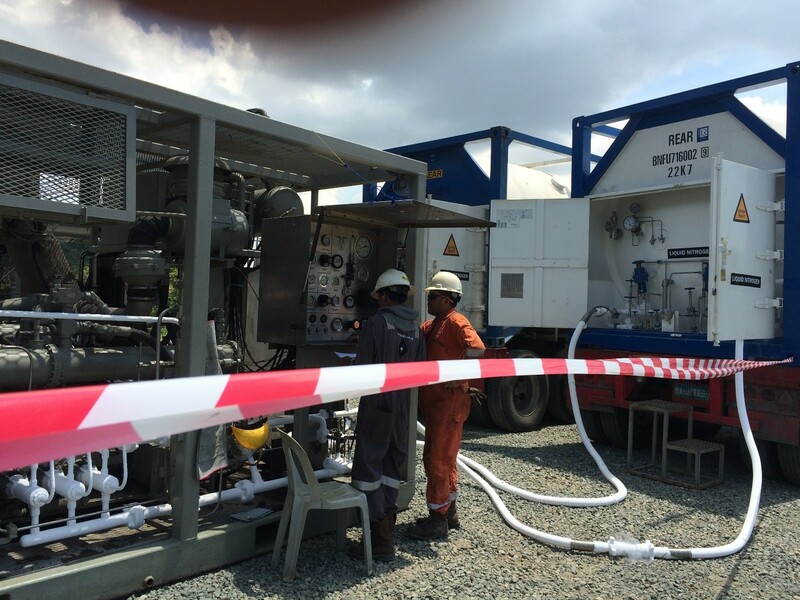 Black Diamond Well Services offer fluid and nitrogen pumping services as both stand-alone and as support services lines to our other well intervention systems. Our pumping fleet includes a variety of fluid pumps capable of flows up to 8bpm and pressures to 10,000psi. Our fleet ranges from our 300HP HT400 standard service Well Service pump to our Zone2 DNV 2.7-1 rated modular mini pump that is designed to support our modular equipment fleet with small footprint and transport weights below 3MT. BBWS can also offer various nitrogen pumping options. Our fleet currently includes standard service 180k Nitrogen Convertors and Zone 2, DNV 2.7-1 rated lightweight 27K Nitrogen convertor designed to allow service on small platforms with limited crane capacity. All Nitrogen units are rated to 10,000psi discharge pressure and can all be supplied with a range of LN2 tanks ranging from 5000gal to 500gals as appropriate to the operations and location.